Dr Aditi Modi, SpR, Anglia School of Anaesthesia. In the mid-nineteenth century two new practices would change what it meant to have a surgical operation. Anaesthesia and subsequently the use of antisepsis were emerging. In the United Kingdom, in 1846, William Squire and Robert Liston of University College Hospital, London, successfully demonstrated the use of ether inhalation to induce analgesia and insensibility in a patient undergoing thigh amputation. But this new discipline would evolve beyond the art of administering a vapour to a patient until they lost consciousness, to today’s specialist field demanding comprehensive knowledge of physical and physiological sciences in addition to good clinical acumen. There would be an increasing need to see such practitioners properly trained, and such training had to evolve with the practice of anaesthesia itself. In England, in 1892, J. Frederick W. Silk- anaesthetist to Guy’s Hospital pleaded for ‘systematic teaching’ in anaesthesia; emphasizing that improvements in surgical techniques would have to be paralleled by those in anaesthetic skills. In 1898, an editorial in the Journal of the American Medical Association, commented that only competent men should administer anaesthetics in order to get rid of the ‘indifferent’ anaesthetist’. Across the Atlantic, in 1910, Abraham Flexner’s report criticising the state of American medical education was published. Flexner, an educational theorist, was chosen by the Carnegie Foundation President, Henry Pritchett, to survey medical education. To tackle the heterogeneity of educational experiences, he recommended that medical schools be regulated by a university system wherein students were taught a standardized curriculum. Amidst all these attempts to improvise medical training, the world was to face its first total war. World War I (1914-1918) left Europe economically devastated, but America flourishing with new ideas. In 1927, Americans were dancing to the tunes of Jazz and the first Oscar had been given to the film Wings. The first transatlantic telephone call had been made from New York to London, and the newly introduced Model A Ford was unveiled. It was at this time that Ralph Waters was invited to Madison, by Chief of Surgery-Erwin Schmidt, to establish an academic anaesthesia program at the University of Wisconsin medical school. The first training programme that Waters designed in Wisconsin was of three years duration, post-internship; of which one year was dedicated for research. The ‘person specification’ was fairly competitive; because Waters preferred residents that had already been in general practice, believing they would be more committed to the speciality. Interviews were in an objective conversation, often even on a weekend. Once appointed, supervision was direct for the first three months, a situation which we all are familiar with today! Regular teaching consisted of two weekly meetings; one named ‘morbidity and mortality case discussion’, and the other ‘literature review’. Departmental social events consisted of ‘ping-pong matches’ or ‘tea’ at the Waters’ residence. Waters’ devotion was such that he often even volunteered to be ‘on-call’ on New Year’s Eve on behalf of his residents! [10, 11] On the face of it then, not much seems to have changed over the last century. Committed individuals are desirable, interviews are objective, initial competencies take around three months to be signed off, clinical governance and journal club meetings are a consistent feature and departments do get together and socialise once in a while. The guidance available to future candidates sitting the examination included questions from the previous paper published in the ‘British Journal of Anaesthesia’- (first issue in 1923). ‘Current Researches in Anaesthesia and Analgesia’ published in the preceding year, and books written by C. F. Hadfield, Blomfield were also available for perusal. The Association Council went on to disapprove of the administration of anaesthesia by non-medically qualified personnel but there continued to be a few instances particularly in Addenbrooke’s Hospital, Cambridge, where, until the nineteen fifties, nurses were still being employed as anaesthetists. Inauguration of the Nuffield Department of Anaesthetics in 1937, with Sir Robert Macintosh as its first professor, opened the doors for further advances in research and training opportunities. Five junior residents, at a salary of £100 per year, were to assist the professor in his research projects. Almost parallel developments were ongoing in USA and Canada where national qualifications in anaesthesia were introduced in 1938 and 1942 respectively. Sir Robert Macintosh started 2-week short revision courses for anaesthetists, held twice a year in Oxford. In addition to refresher courses, ‘Nuffield Dominion Scholarships’, enabling overseas doctors to benefit from specialist training in England, were initiated. [22, 23] This was the beginning of an era of international exchanges in medical specialities. In the United States, a committee chaired by Ralph Waters, arranged twelve- week courses in anaesthesia for medical officers in the army. Study of available literature including the journal of ‘Anesthesiology’ (first published in 1940), was encouraged. Thousands of physicians were trained by virtue of these courses and a substantial growth of the speciality and its members became inevitable. In Canada, Dr Harold Griffith organized a teaching programme in anaesthesia for physicians in the armed forces, and this then led him to develop the McGill Diploma course in anaesthesia for resident staff. By the end of the Second World War, the importance of structured training in anaesthesia had finally dawned on the medical profession across the world. From early computers to nuclear power, inter-continental air-travel and travel to the moon; developments in World War II have changed the world in which we live. In 1945, an innovative teaching method was introduced at a meeting at the Royal College of Surgeons by the anaesthetic department of Westminster hospital; a film titled ‘How not to do it’ (although whether this was intended for the surgeons or anaesthetists, one cannot be sure!). The first issue of ‘Anaesthesia’ journal was published in 1946, and that of J Alfred Lee’s ‘Synopsis of Anaesthesia’ came out in 1947. 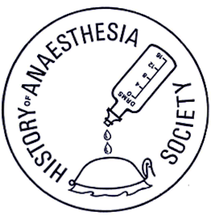 1948 became a year to remember in the history of both academic anaesthesia and the medical profession in Great Britain. The D.A. was upgraded to a two- part examination in order to ensure equal status and remuneration for anaesthetists joining the newly established NHS. Part 1- (a test on basic sciences), could be taken by house officers who had completed a minimum of six months in anaesthesia and part 2 could be attempted after completing a year in a full-time post; on the knowledge of anaesthesia and perioperative care. With the introduction of the clinical examination on a live patient, this two-part D.A. was re-named as the diploma of the Fellow of the Faculty of Anaesthetists of the Royal College of Surgeons (FFARCS) in 1953. This format continued up until 1985, after which a three-part examination was introduced. Responsibility for the examination was handed over to the College of Anaesthetists in 1988 (hence then called Fellowship of the College) and finally to the Royal College of Anaesthetists with the new title of Fellowship of the Royal College of Anaesthetists (FRCA) in 1992. The two-part FRCA (Primary and Final) has been introduced since 1997. In the U.K., Anaesthesia as a speciality has always been in the vanguard when reforming training programmes. In 1968, the Royal Commission on Medical Education, made recommendations for structured training in the light of national needs and resources. Sir Alexander Todd, who authored this report, had won a Nobel Prize for his research in organic chemistry in 1957. The Royal Colleges were to oversee the postgraduate programmes; the first three years would be spent in ‘General Professional Training’ (GPT) with the acquisition of FFARCS, followed by three in ‘Higher Specialist Training’, leading to accreditation as a specialist. In this era, anaesthetic training was comprehensive due in part to working up to 100 hours per week. Trainees were supervised for 35% of their theatre time during GPT. Part-time trainees would be working up to 48 hours per week! Perhaps one of the better aspects of the older system when compared to today’s training was the Senior Registrar grade, where trainees could consolidate their skills in preparation for the Consultant post. Though it lacked a quantitative tool for assessing performance, there was the ability to halt promotion of an unsuitable trainee based on professional judgement. In the rest of Europe, specialist recognition was being granted after only three years of training. Medical training has never been immune to politics. The Calman report of 1993 called for streamlining of postgraduate training and the Royal College of Anaesthetists took the lead in implementing a seamless, seven-year duration, competency based training programme with a definitive end-point by the award of the ‘Certificate of Completion of Specialist Training’. ‘The New Deal’, a contract negotiated by the British Medical Association in 1991, to limit the number of weekly worked hours to 56, came hand-in hand with the Calman report. So where are we today? The author’s identity badge reads ‘Speciality Registrar (ST)’ as opposed to ‘Specialist Registrar (SpR)’; reflecting a major reform as the result of structural re-organisation of training by the Modernising Medical Careers (MMC) team in 2007. Now, with the advent of the European Working Time Directive, rotas are stringent and political pressures on service delivery will mount again. The onus is on us to ensure we achieve confidence in addition to competence. Evolution in medical training as in the natural world hopefully brings out a better design, but, without the knowledge of the past, one cannot have a vision for the future. 5. Buxton D W. On the advisability of the inclusion of the study of anaesthetics as a compulsory subject in the medical curriculum. 9. Flexner A. Medical education in the United States and Canada - a report to the Carnegie Foundation for the advancement of teaching. 16. Helliwell PJ. The Association of Anaesthetists of Great Britain and Ireland 1932-82. Fifty years of service to the speciality of anaesthesia.